MPC Law is dedicated to helping the victims of personal injury and have recovered millions of dollars in compensation for Brampton injury victims and their families. Our Brampton personal injury lawyers have a proven track record of success representing injury victims at all levels of court in the province. Our experts have trial experience, which means they will never back down from a fight and can level the playing field when it comes to dealing with a tough opposing defense. Our Brampton personal injury lawyers have been helping victims of motor vehicle accidents, slip and falls, public transportation accidents, dog bites, product liability claims, pedestrian accidents, motorcycle accidents, and long-term disability. We also specialize in traumatic brain and spinal cord injuries, orthopaedic injuries, injuries caused by psychological trauma, and chronic pain. In order to ensure that our clients get the best possible service and results, we routinely make hospital and home visits. This ensures that our clients’ rights are protected as early as possible, as well as provides a convenient service for those dealing with restricted mobility as a result of their accident. We work with a network of medical experts who will accurately diagnose and treat your injuries ensuring that you achieve maximum recovery. If you or a loved one was injured, you deserve compensation. Contact MPC Law for a free, no obligation consultation, and put the local experts in your corner. We will protect your rights and ensure that you receive the maximum compensation that you deserve. Personal Injury lawyer at your service! As most personal injury cases are intricate and complex, it takes anywhere from a few months to a couple of years to get the compensation that you deserve. Thus, it is essential to adhere to the strict time line for filing your case, if you or a loved one has gotten injured due to an auto accident, slip and fall or even a dog bite. You deserve to be compensated for loss of income, medical bills and future cost of rehabilitation and mental anguish that you or your loved one has gone through. It is worse if the accident has brought on debilitating spinal or brain injuries that can render the victim paraplegic or quadriplegic, and in some cases, such accidents can be fatal. The guilty party is liable to pay for damages but most insurance companies try to offer lower compensation and that is why seeking the right legal assistance from experienced Personal Injury Lawyers in Brampton is essential. At MPC Law, we ensure that your case is duly represented after a complete analysis and research by our legal team. From gathering evidence and information to advocating your case claim settlement or for a trial, we can be of constant assistance. 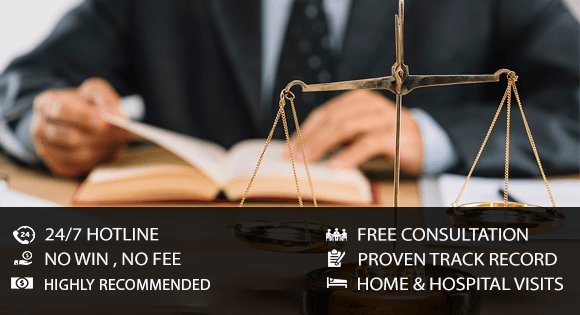 If you need expert advice and legal assistance from filing a case to legal representation, please call us to schedule an appointment right away. By delaying benefits and claims, insurance companies stand to gain, but it is your loss. By filing for compensation, MPC Law ensures that you get the settlement that you deserve. It is important to know about your rights so that you don’t have to accept low compensation in out-of-court claim settlements. Our Injury Lawyers in Brampton know that you are entitled to claim damages and get higher compensation than what the insurance company adjusters offer. That is why we work with you through the trial and ensure you are suitably compensated for loss of wages, mental and physical trauma and future medical costs.